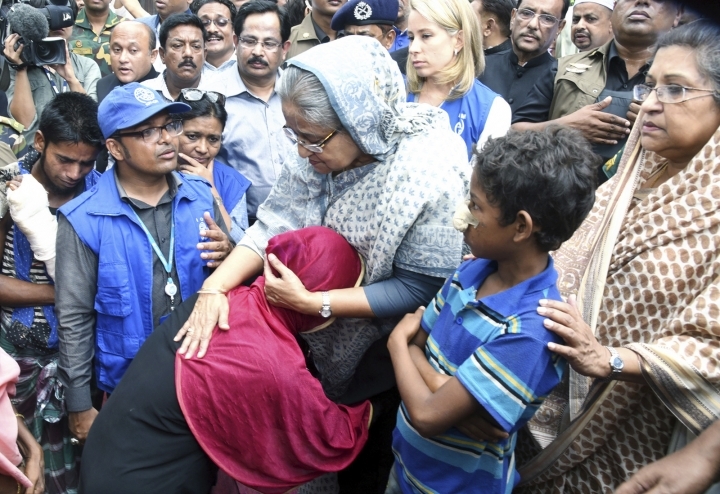 UKHIYA, Bangladesh — Bangladesh's leader demanded that Myanmar allow the return of hundreds of thousands of Rohingya Muslims who fled recent violence in the Buddhist-majority nation — a crisis she said left her speechless. 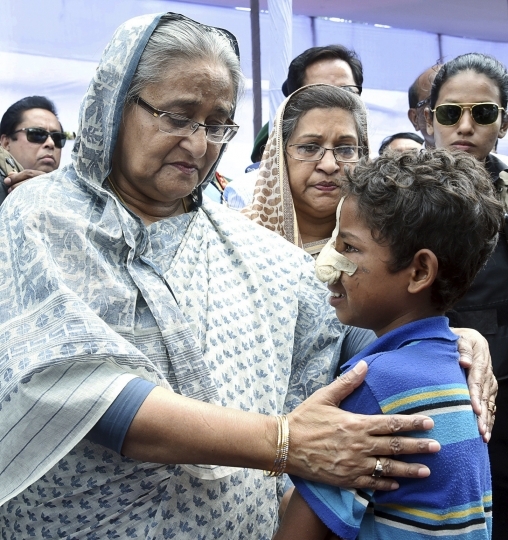 Prime Minister Sheikh Hasina said Bangladesh would offer the refugees temporary shelter and aid, but that Myanmar should soon "take their nationals back." "We will not tolerate injustice," she said Tuesday at the Kutupalong refugee camp, near the border town of Ukhiya in Cox's Bazar district. At least 370,000 Rohingya have flooded into Bangladesh since Aug. 25, when Myanmar's military responded to a major insurgent attack with what it called "clearance operations" to root out the rebels. Many of the fleeing Rohingya have said Myanmar soldiers shot indiscriminately, burned their homes and warned them to leave or die. Others said they were attacked by Buddhist mobs. 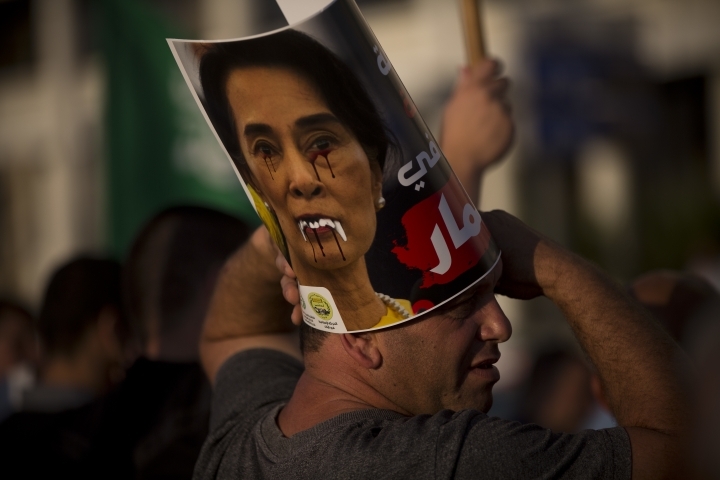 The crisis has drawn sharp criticism of Myanmar's government and its leader, Nobel Peace Prize recipient Aung San Suu Kyi. On Tuesday, Iran's Supreme Leader Ayatollah Ali Khamenei called the killing of Muslims a political disaster and called Suu Kyi a "brutal woman." U.N. human rights chief Zeid Ra'ad al-Hussein said the Rohingya were victims of what "seems a textbook example of ethnic cleansing." 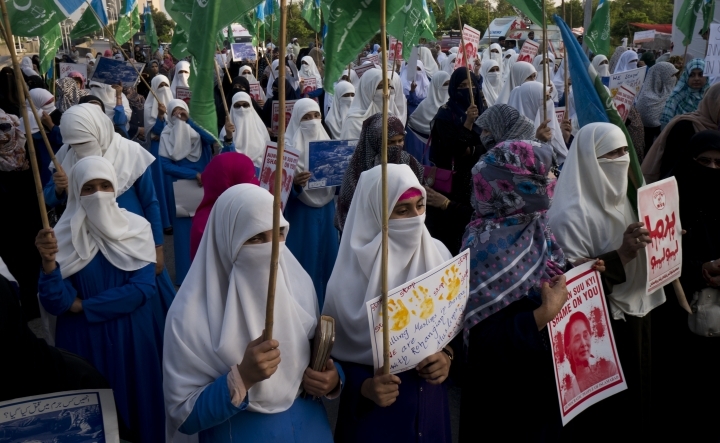 Two human rights groups on Tuesday accused the U.N. Security Council of ignoring the crisis. Human Rights Watch and Amnesty International spoke at U.N. headquarters ahead of closed council discussions Wednesday about the Myanmar situation. Louis Charbonneau, the U.N. director for Human Rights Watch, said, "This is an international peace and security crisis" and there is no excuse for the Security Council "sitting on its hands." 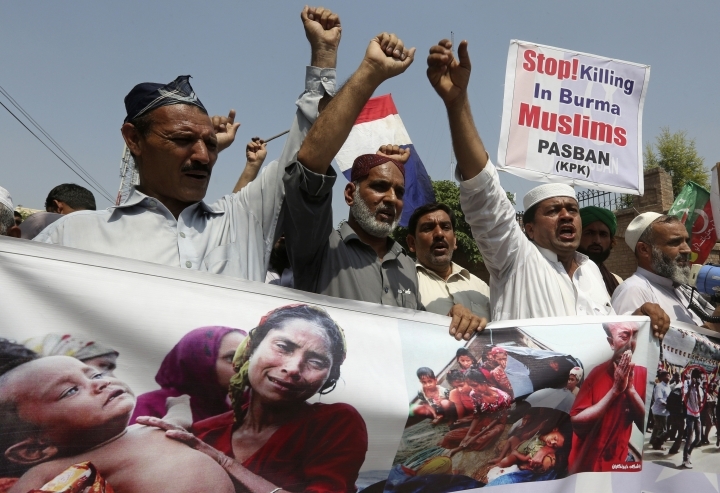 The Organization of Islamic Cooperation, the world's largest Muslim body, is urging Myanmar to allow in U.N. monitors so they can investigate what it alleges is systematic brutality against the Rohingya. The U.N. Human Rights Council approved an investigative mission earlier this year, but Myanmar in June refused to allow it to enter. An envoy's visit in July was met with protests. In Myanmar, a Rohingya man said security forces arrived Monday in the village of Pa Din, firing guns, setting new fires to homes and driving out hundreds of Rohingya. "People were scared and running out of the village," the villager said, speaking on condition of anonymity out of fear for his safety. Myanmar police, however, said the houses were burned by terrorists they called Bengalis, a term used derisively in Myanmar against Rohingya. Myanmar's military said Rohingya villagers helped them arrest six suspected insurgents armed with swords and slingshots on Monday. The military commander in chief's office posted on Facebook that the six were detained as they entered Ka Nyin Tan village in Maungdaw township. In Bangladesh, Kutupalong and another existing Rohingya camp were already beyond capacity. Bangladesh has said it would provide 2,000 acres (810 hectares) for a new camp in Cox's Bazar district to help shelter new arrivals. Some were staying in schools or huddling in makeshift settlements along roads and in open fields. Basic resources were scarce, including food, clean water and medical aid. The government hospital in Cox's Bazar has been overwhelmed by Rohingya patients, with 80 arriving with gunshot wounds as well as bad infections. At least three Rohingya were wounded by land mines amid accusations that Myanmar's government had planted new mines along the routes Rohingya are using to flee. Dozens also have drowned when boats capsized during sea and river crossings. Myanmar's authorities said more than a week ago that some 400 people — mostly described as insurgents — had died in clashes with troops, but it has offered no updated death toll since. Rohingya have faced decades of discrimination and persecution in Myanmar and are denied citizenship despite centuries-olds roots there. The OIC, in its statement issued Tuesday, called on Muslim countries to work together to help the Rohingya refugees. It made its decision after an emergency meeting on the sidelines of a technology conference in Astana, Kazakhstan.